There's no substitute for experience. Tony Verdi offers an unbeatable level of professionalism and experience, with the backing of some of the most advanced resources in real estate, and a high standard for customer service. 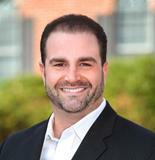 Let Tony help you evaluate your options in today's changing real estate market. Why Pet-Friendly Homes Are in High Demand? Buying A Home in 2019? A Must Read.